The building's staircase was safe and free for use, sources added. 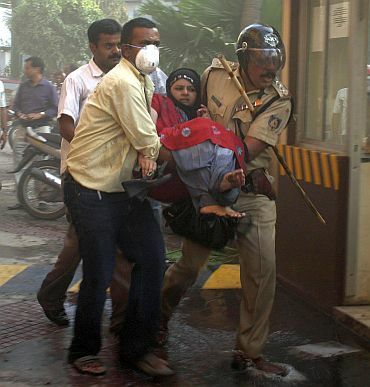 Dr H S Ballal of Manipal Hospital said nine people had died in the hospital and of the 59 injured, 19 were critical. The condition of two more patients -- one at the Command Hospital and the other at the St John's Hospital in the city is stated to be critical, sources said. According to Nagendra Swamy, chief operating officer, Manipal Hospital, "We have received around 50-60 patients." "Some of the persons are seriously ill. We are evaluating the patients' health," he said. Most of them suffered asphyxiation, he said. 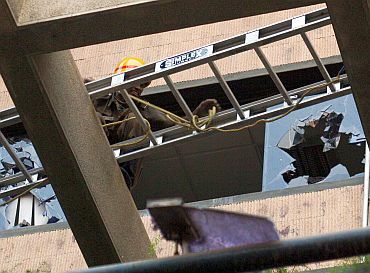 TV visuals showed a girl clad in a blue salwar kameez landing on the roof of the portico after jumping from the sixth floor and then falling over to the ground. Her condition was not immediately known. Many struggled to breathe clean air, covering their mouth and nose with handkerchief, eyewitnesses said. 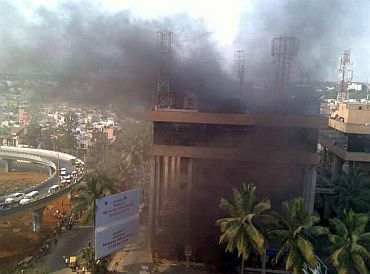 Nearly 100 fire brigade personnel battled the blaze, an official said. The multi-storey building located on the busy Old Airport Road in Domlur area was completely evacuated and the fire brought under control nearly two hours after it broke out, officials said. Scores of persons fainted after inhaling the smoke and were rushed to the nearby hospital for first aid, a senior fire official said. 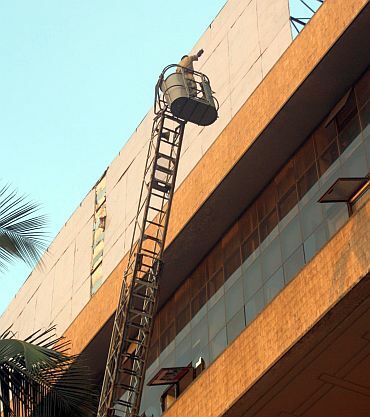 The fire which broke out in an office on the seventh floor at 4.30 pm has been brought under control and extinguished, Chief Fire Officer N U Erappa told PTI after the fire fighting operations. Nearly 15 fire tenders including two rescue vehicles were pressed into service. A spark in the lift service cable caused the fire in the building housing software companies and commercial establishments, a senior fire official said. "The fire began in a lift service cable on the second floor and spread through the duct with smoke engulfing the remaining floors," Erappa, fire chief officer told PTI. 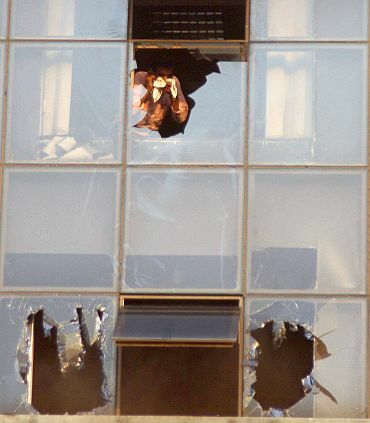 The blaze created panic with several inside the building shouting for help and many others breaking the windowpanes. Passers-by also rushed to help those trapped. The fire, which occurred at the start of the peak hour, caused a huge traffic jam around the area. 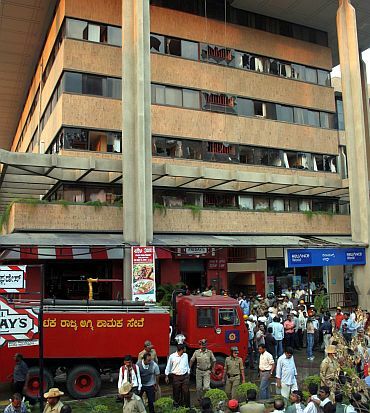 Karnataka Home Minister Dr V S Acharya said an investigation would be ordered into the safety aspects of the building, including the fire safety amid reports there were some violation of building norms. He described the fire as "a shocking tragedy".